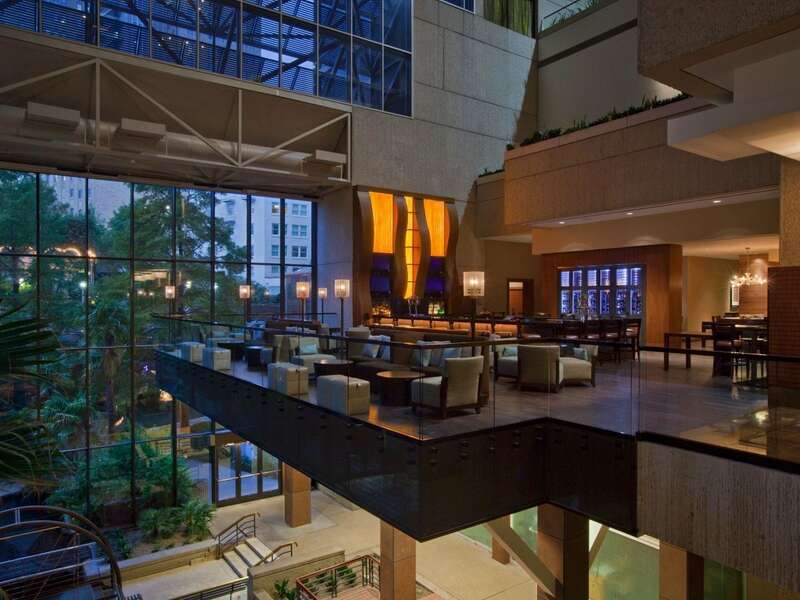 Hyatt Regency San Antonio Riverwalk is a vibrant dining destination, with some of the best restaurants on the River Walk. 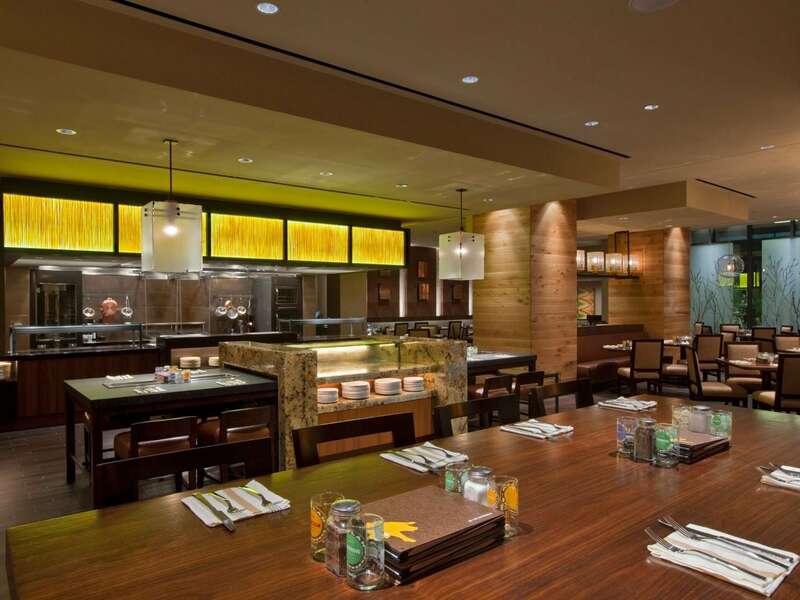 Located in our hotel, Q Kitchen | Bar is an innovative San Antonio River Walk restaurant serving a variety of flavorful cuisine that reflects the diverse food culture of the city. During the week, mingle with the chefs as your dish is being prepared at the interactive, open cooking pasta bar and enjoy a mouthwatering meal that melts in your mouth. 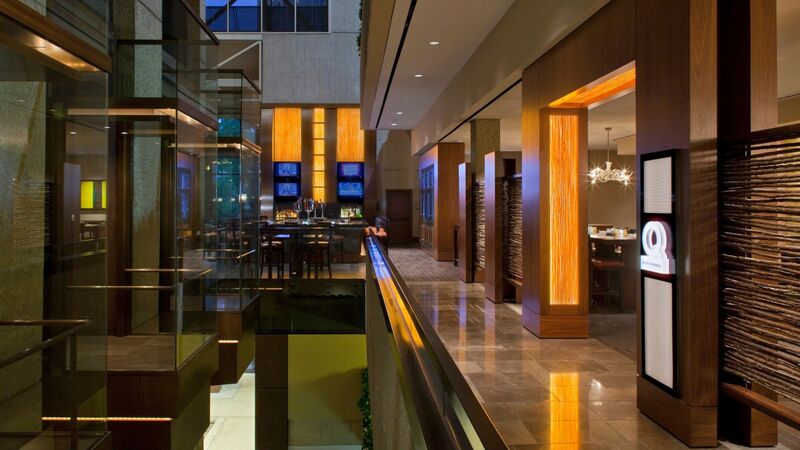 Grab a seat at the massive 55-foot granite bar at Q Kitchen | Bar and choose from over 100 beers and microbrews from across Texas. Join us for the ultimate foodie journey at Q Kitchen | Bar, one of the most innovative River Walk restaurants in San Antonio. Q Kitchen takes pride in offering all natural and sustainable sourced dishes combined with the unique and bold culture of San Antonio. Daily lunch specials include a Weekday Pasta Buffet where the chef creates customized pasta bowls right in front of you in our interactive, open kitchen. As for as offering a variety of mouthwatering meals, well...one glance at the menu will tell you how serious we are about that. Kick back, stay awhile. Q Bar is a one-of-a-kind experience. Belly up to the spectacular 55 foot granite bar or relax in the lounge and watch one of six flat screen TVs showing your favorite sporting events. Sample some of Q’s signature dishes while you work your way through the more than 100 beers available including beer on tap from breweries all across Texas. With one of the best San Antonio River Walk bars for beer selection and style, Q Bar offers a unique and relaxing bar experience that everyone can enjoy. 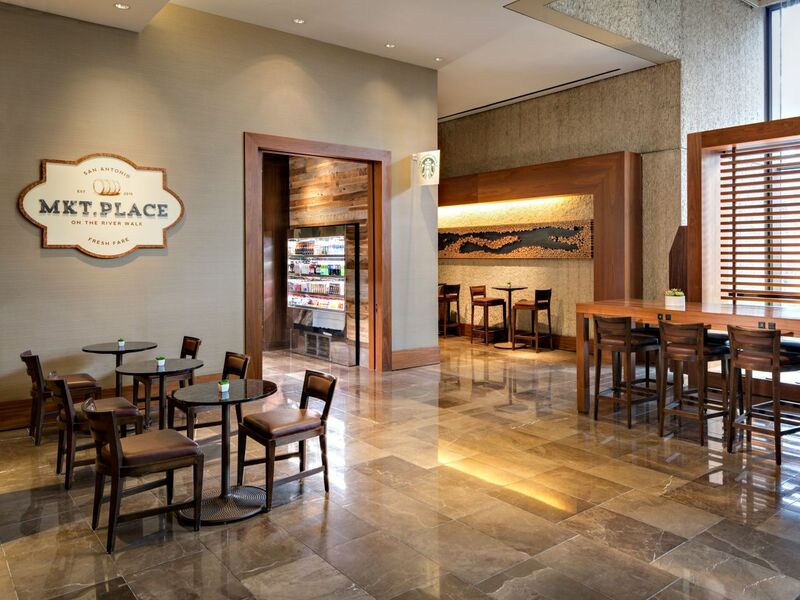 Enjoy an on-the-go breakfast or quick lunch at the hotel’s brand new MKT. PLACE. 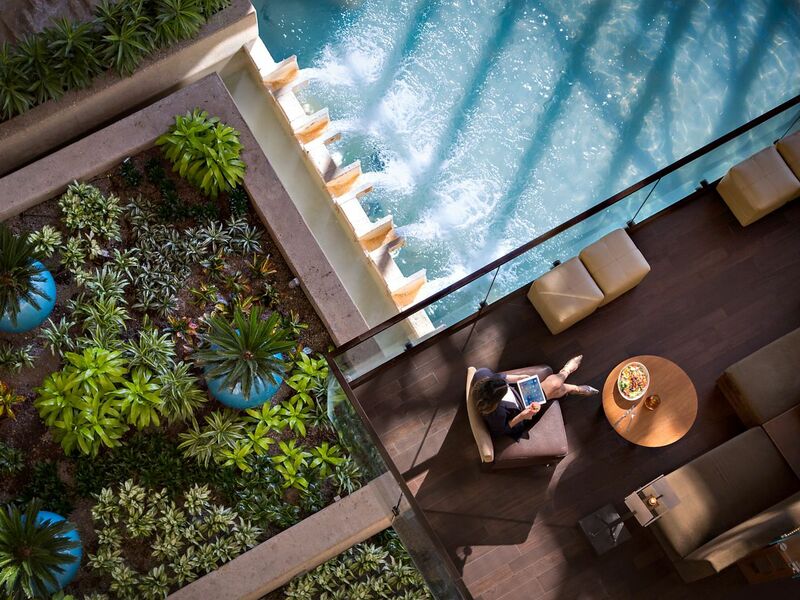 Sit back and relax with the morning paper, chat with colleagues before the afternoon’s meetings, or simply pick up and head out to explore the town. The choices are yours. The pleasure is all ours. Discover how great it feels to relax in a spacious room while indulging in outstanding Four Diamond in-room dining. Planning a romantic interlude with your sweetheart? Perhaps you’d like to order steaks, a bottle of fine wine and chocolates. Taking in that Spurs game in the comfort of your hotel suite? Call on us for popcorn, sandwiches and sodas delivered to your suite or entertain a few friends or colleagues; we’re famous for our hospitality catering services. 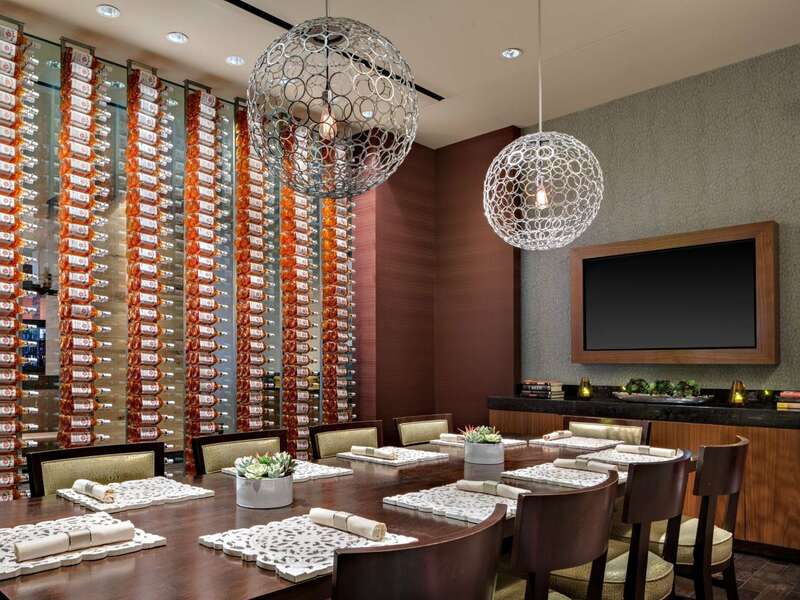 Whether celebrating a intimate special occasion with family and friends, or hosting a business event, Q Kitchen has a unique Private Dining Room that can accommodate up to 10 people.